Crack open a drink with us where ever you are and learn about the best vacation destinations around the world. Get in #VacationMode with us! 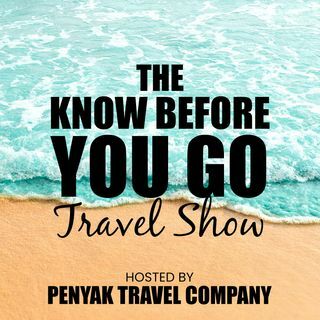 As owners of Penyak Travel Company (and avid travelers ourselves) we dive deep into how to get the most out of your vacation, planning, and all the tips & tricks of the industry. We cover everything from the hottest property reviews, destinations, cruises, Europe, domestic travel (who doesn't like Vegas?) and much more! So grab a ... See More cocktail, wine, or a cold beer and enjoy the show with us! Staying at Sandals Grenada, one of our all-time favorite destinations! Our Stay at Baha Mar in Nassau Bahamas! All About Destination Weddings in the Caribbean! Our Stay in Jamaica at Sandals Negril!